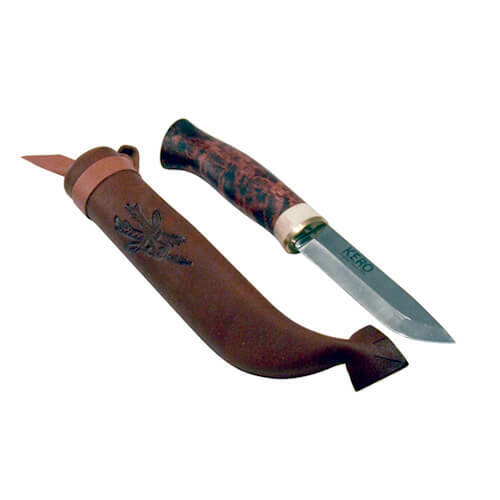 Superb quality knife with handle of curly-grained wood and reindeer horn with brass fittings. Carbon steel blade 10cm. Traditional artic scandinavian leather sheath.